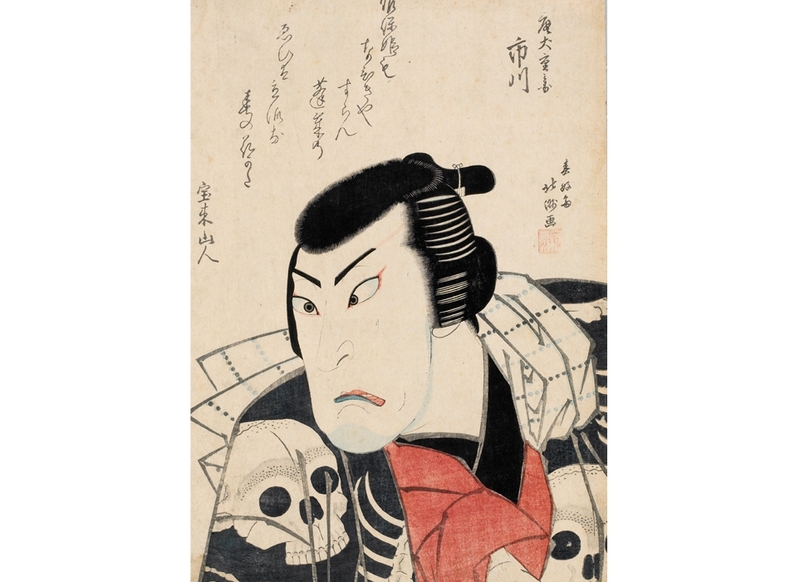 Included in the exhibition is the work of Nishikawa Sukenobu (1671-1751). One of Kyoto’s leading artists and book illustrators, his influence was felt not only in Kamigata, but in Edo as well. A recent study shows that Suzuki Harunobu (1725-1770), the founder of the Japanese color-woodblock printmaking process, may have studied with Sukenobu and later moved to Edo. Best known for his rare book illustrations, Sukenobu, as with other Kyoto and Osaka woodblock print designers, has never been fully researched, and his place in Japanese-art history may be bigger than is currently recognized. As mid-17th-century Edo flourished economically and culturally, the mainstream publishing world gravitated to the city. 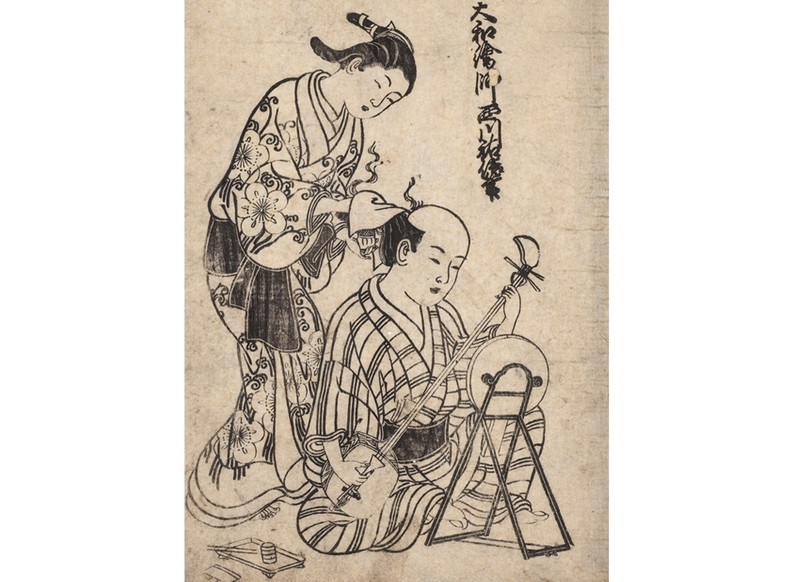 However, Kyoto and Osaka artists continued to produce their own woodblock-printed books and pictures, focusing on their own interests, such as famous places, courtesans, actors, and events of the Kamigata region. A provincial identity often arises when the people of a certain region feel overwhelmed by other influences or powers. As Edo became socioeconomically and culturally the most powerful city in Japan, a sense of identity and pride thrived among residents of Kyoto and Osaka. Even now, people in the Kyoto and Osaka areas feel a sense of rivalry with Tokyo, similar to the East Coast-West Coast rivalry in the United States.